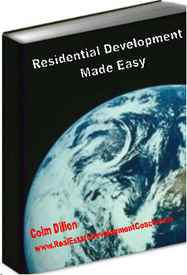 Free software that will further your knowledge and wet your appitite for more learning much more to do with property. My friend Clive Burrows, not only practices what he preaches, he also lectures to advanced students in property economics at a leading university. Fee Estimator for Consultants Calculates consultants project fees from time allocation, hourly rates and specific work detail. Body Corporate Electricity Profit Estimator Calculates profit from conversion to electricity bulk purchase and sub invoicing in residential& commercial properties. Building Performance Evaluation (tenants) is a tool to compare the quality of buildings before entering into a lease for commercial premises. Graphical results & 10 year lease comparisons NPV. Due Diligence is a check list for pre purchase investigations of Legal, Financial, Engineering, Environmental, & Property Management issues undertaken by property investors prior to settlement. Building Services Engineering Audit is a tool for evaluation of the present condition and life expectancy of building services (ie) air conditioning, electrical, fire protection, lifts, generators and hydraulic services. Legionella Control Report a monitoring tool to graphically present test results of legionella & bacteria counts in air conditioning cooling towers, over 12 months periods to confirm professional management of hygiene and legionella risks. Disabled Access Compliance Surveys Discrimination against disabled people can result in litigation and costly expense for building owners. Compliance surveys are pro-active risk management strategies. Energy Efficiency Study is a tools to conduct a preliminary energy analysis, and to benchmark your costs and energy use (Electricity, and Gas) in office buildings, shopping centres and factories. Maintenance Cost Planner 10~15 year is a tool to plan long term budgets for repairs, maintenance and sinking fund for asset replacements, over an investment time frame of 10~15 years. Life Cycle Costing is a tool used to analyse comparative costs for capital expenditure over the life of the investment.It compares Net Present Values (NPV) from investment $, operating $, maintenance $ and replacement $, over investment life. Visit this great site to improve you knowledge.